Almost every night, seeking to gather opinion from a country where opinion is often punishable, Kim Eun Ho calls North Korea. He talks mostly to people in Hoeryong city in Hamgyong-bukto province, and the conversations never last long. 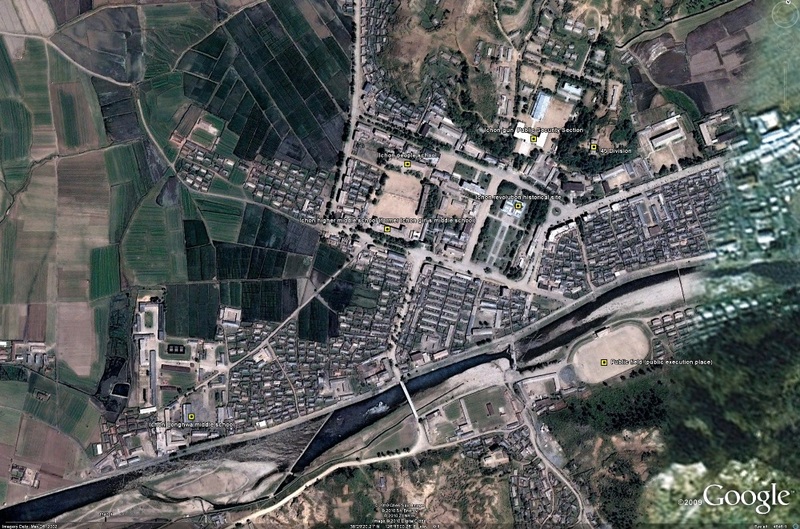 Hoeryong city employs 14 men who monitor the region’s phone conversations, Kim believes, and typically they can tap a call within two or three minutes. Kim says he knows this because, as a North Korean police officer before he defected in December 2008, he sometimes monitored the conversations. But these days, with Pyongyang preparing for a Workers’ Party convention that could trumpet the rise of leader Kim Jong Il’s youngest son, Kim Eun Ho and other defectors who speak regularly to North Koreans hear plenty of opinions reflecting what he described as a broad sentiment against hereditary succession. Kim Eun Ho, the former North Korean police officer, works as a reporter for Seoul-based Free North Korea Radio. The nightly routine testifies to the difficulty of gathering information from within the world’s most reclusive state. Kim first calls a friend who lives close to the Chinese border, where a smuggled foreign cellphone receives a clear signal. When Kim reaches his friend, the friend uses a second phone – a North Korean line – to call one of Kim’s police sources in Pyongyang. The friend then places the North Korean phone and the Chinese phone side-by-side, volume raised on the receivers, allowing Kim an indirect, muffled connection. For extra caution, the conversations rely on code words. A defector-based survey released in March, co-written by North Korea experts Marcus Noland and Stephan Haggard, provided the first sharp indication of growing discontent with Kim Jong Il’s regime, linked in large part to an information seal that no longer keeps everything out. North Koreans have access to South Korean television shows. Some travel to China for business. For now, though, experts and U.S. officials see little likelihood that North Koreans’ closely guarded skepticism about their government will pose a threat to the government. Without churches and social clubs, North Koreans have few places where opinion can harden into resistance. “They’ve almost perfected the system of social control,” says Katy Oh Hassig, an expert on North Korea at the Institute for Defense Analyses, which does research for the Pentagon. Jin, who lives in Seoul, rarely talks to his wife and daughter. He doesn’t think it’s safe to tell them his opinion. Well the team at PSCORE just sent me some North Korea map locations to add to the next version of the Google Earth project. I am looking forward to sorting these out over the weekend, but just so you don’t have to wait on me, I have posted them on line for you to download yourself. Click here to download the PSCORE Google Earth locations. Click here to learn more about PSCORE. Have you ever imagined what life would be like living in the world’s most isolated country? Moreover, have you wondered what it would be like to live as a North Korean under the ruling of Kim Jong-il? Join us for a speedy synopsis of North Koreans life inside the reclusive country as well as a dialogue with two defectors about their escape and settlement in a new world beyond the reins of Kim Jong-il. Invest ONE afternoon and gain a fresh perspective of life inside North Korea. For the detailed program and directions, please refer to the attachment. This event is hosted by People for Successful Corean Reunification and sponsored by Asian Studies Program at Georgetown University. PSCORE is a non-profit, non-religious, non-partisan NGO based in Seoul & Washington, DC. PSCORE strives for mutual understanding and harmony between the two Koreas and aims to provide a platform to discuss topics such as democratization, human rights and social issues. We hope to bridge the gap between South Korea, North Korea and the international community. We are not affiliated with any political organizations. You are currently browsing the archives for the Pscore category.